Winner ...! - TOP Doctor award every year since 2013, 5 years in a row! An experienced doctor's practice you can trust. Since 1995, Dr. Ravi Iyer has led a group of talented and dedicated professionals to provide comprehensive medical care for families in Northern Virginia. With over 15 years of experience and equipped with state-of-the-art equipment, Dr. Iyer's team continues to serve the people of Herndon, Reston, Ashburn, Chantilly, and Sterling, with the same commitment to the highest quality of service today as they did on the day they started. 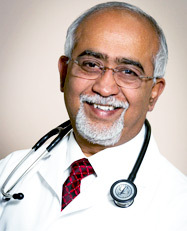 Dr. Iyer is an experienced doctor of internal medicine. With Dr. Iyer, you can rest assured that you will get expert medical care from a doctor who has been practicing medicine in Virginia for nearly two decades. He is well recognized in the medical community and has served as Vice-Chairman & then as the Chairman of the Department of Medicine at the Reston Hospital Center, Reston, VA. from 2007 to 2015. Dr. Iyer's academic background includes two post-doctoral fellowships at Harvard Medical School. He has authored several papers in highly acclaimed medical publications. Today, Dr. Iyer continues to keep himself up-to-date with the latest medical advancements. With Dr. Iyer, you get the benefit of a doctor's extensive experience as well as the advantage of the latest breakthroughs in modern medicine. Dr. Iyer founded his clinic to provide patients a place of empowerment and a genuinely personal health care experience. This was based upon his vision of a doctor as a healer and an agent of empowerment with a single-minded commitment to service. Today, he spearheads his team towards achieving this objective and his patients attest to the individualized attention they receive from the doctor. 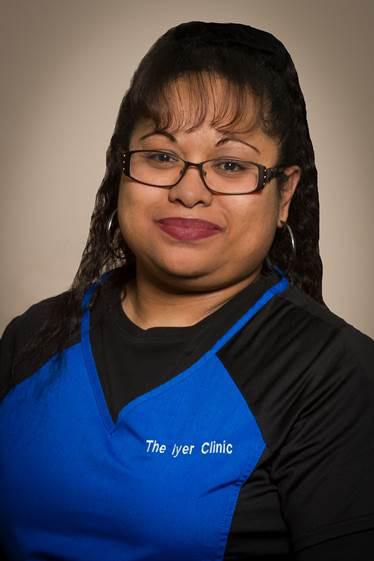 Kim is an Associate Provider at The Iyer Clinic. 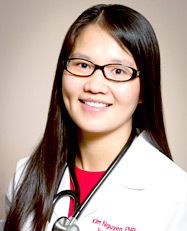 She received her Bachelor of Science in Nursing from George Mason University in 2006 and earned her Masters of Science in Nursing at the George Mason University in collaboration with the George Washington School of Medicine in May 2012. Kim is certified as a Family Nurse Practitioner by the American Nurses Credentialing Center and is a member of the American Academy of Nurse Practitioners. “ Kim was very friendly and provided prompt, effective care. She helped me understand my options and explained the side effects of my medication ” – Nikhil G.
Perform physical examinations, diagnose, and treat common acute illnesses and injuries. Manage high blood pressure, diabetes, depression and other chronic health problems. Order and interpret diagnostic tests such as X-Rays and EKGs, as well as laboratory tests. Perform minor office procedures and provide immunization. Educate patients and families regarding healthy lifestyles and health care options. 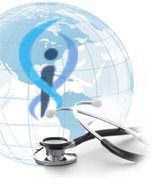 The Iyer Clinic is a fully equipped health-care clinic. With state-of-the-art equipment and expert staff, the clinic is equipped to meet most of your medical needs and even perform minor surgeries at a moment's notice. You can count on us to get you in quickly and put you on the fast track to health. The clinic has an excellent track record. We have been providing some of the best adult internal medicine, preventive health management, and geriatric care services, in Northern Virginia since 1997. As a testament to the high quality of service we provide, Dr. Iyer and The Iyer Clinic has received national and regional recognition for excellence in medical care every year since 2013. The Iyer Clinic operates a full-fledged medical care facility in Herndon and Aldie and an auxiliary services facility in Sterling. Layline joined the Iyer Clinic in 2004 and has served the clinic in every capacity from manning the Front desk, to performing clinical back office support to executing billing and financial management for the practice. She was promoted to Practice Administrator in 2008 and is one the core members of the Iyer Clinic team. In the sometimes hectic rush of everyday affairs in the clinic, Layline brings her unique blend of firm, patient judgment tempered by compassion that has proved invaluable and irreplaceable time after time. During her college training as a Medical Assistant, Claudia came to our attention when she did a part of her internship with us. Her qualities of cheerful self-reliance and indomitable spirit made the decision to offer her a position a no-brainer. 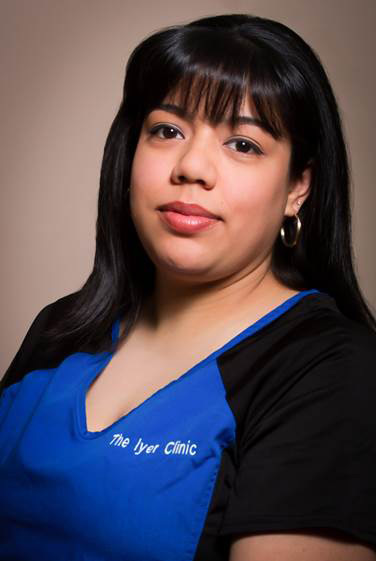 Claudia is the voice and often the face of the Iyer Clinic. In her primary role as Patient Coordinator she mans the Front Desk and makes sure that every patient walking in and every phone call is handled with calm, effective professionalism that is not lacking in the human spirit of cheer and compassion. © Copyright 2019 The Iyer Clinic. All rights reserved. A Nurse Practitioner (NP) is an Advanced Practitioner of Medicine who also has a Nursing background. Similar to physicians, Nurse Practitioners undergo extensive training in anatomy, physiology, biochemistry, pathology, pharmacology, public health, preventive medicine, and all disease states. They are also trained in diagnosis, management, and appropriate treatment of medical illnesses ranging from simple colds to complex chronic health issues like diabetes, congestive heart failure, and renal failure and they can perform minor office based procedures. All NP's hold qualifications beyond a Master’s degree. In the modern world of medicine and healthcare, Nurse Practitioners are an indispensable part of the physician’s team in the provision of balanced and high quality care. The State of Virginia recognizes and awards all qualified nurse practitioners working with a physician the same prescription writing privileges as the physician.